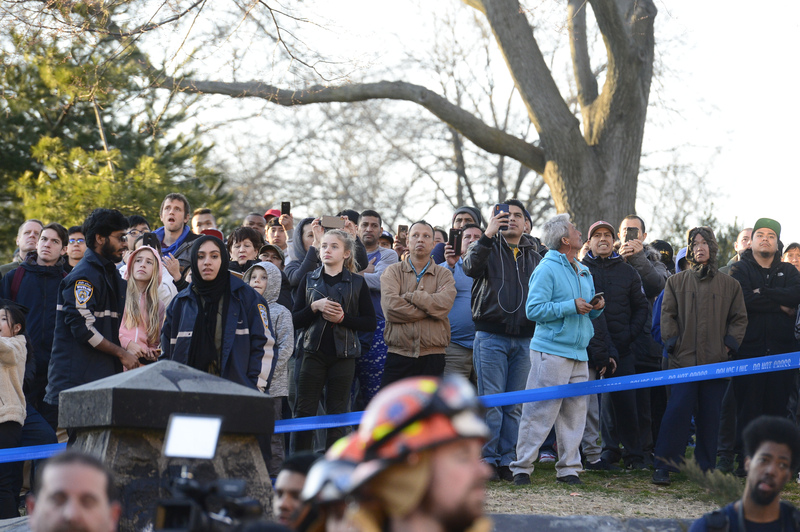 SUNSET PARK – A week after the Sunset Park fire that displaced over 100 residents, the community is still standing together. 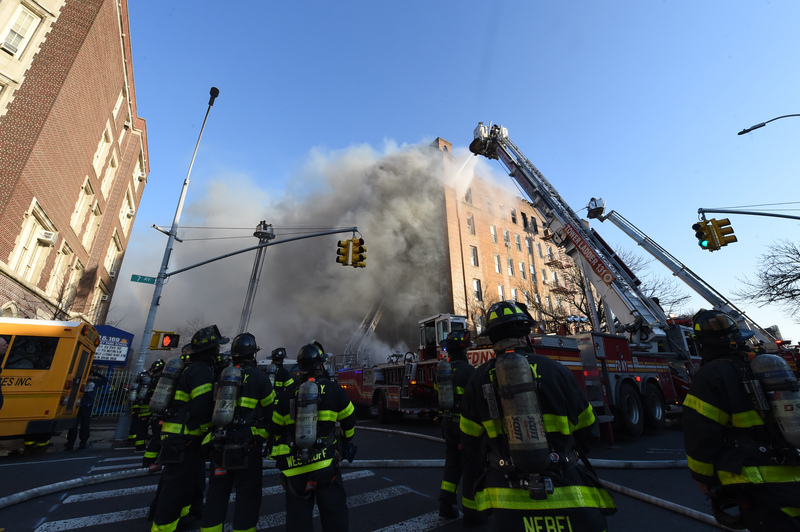 On April 3, a six-alarm fire ripped through 702 44th Street. Twenty-three people were injured, over 100 were displaced, and about a dozen cats and dogs died. Right away, a GoFundMe page was set up by the Sunset Park Business Improvement District to raise money for the displaced residents. They have currently raised over $103,000. Clothing & basic necessities drives were also set up at the local church and the Salvation Army at 520 50th Street off Fifth Avenue. According to Anita Bulan, a Sunset Park resident who we profiled for our “Extraordinary Neighbors” series, so much clothing was donated that now they are in need of bins to organize them. The residential building is six-stories and has 54 units. The building is a mix of condos and rent-stabilized units, which is something Melissa del Valle Ortiz, the Community and Housing Coordinator at Congresswoman Nydia Velázquez’s office believes they have to juggle through. She said the community is super close and many people know at least one person from the affected building. She said a women came by the Sunset Park Recreation Center to support a woman from the building. How did she know her? Their dogs were friends. 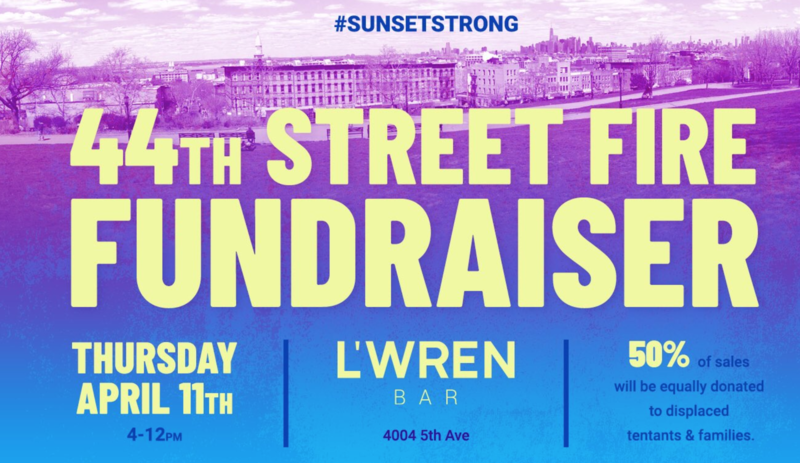 There is a fundraiser planned for tomorrow night at L’Wren Bar where 50 percent of the donations will be given to the displaced tenants and families. There is also a dinner and vigil being planned on Saturday. According to Bulan, it’ll be the first time all of the tenants will get together to grieve their homes and lost pets.